Get Victoria’s Secret Pink Nation Nails With Red Carpet Manicure! Back in November 2016, the Victoria’s Secret Fashion Show and its Angels walked the iconic catwalk in style. As the official nail sponsor, we’re here to help you get the look of a Victoria’s Secret Angel with a range of custom designs by celebrity manicurist Elle Gerstein. Inspired by the different themes of the catwalk, Elle has recreated these designs so you can recreate them yourself at home! This week we’re sharing with you the look from the Pink Nation catwalk. Famous for its relaxed yet stylish clothing and lingerie, this nail design is fun, quirky and will help you stand out in 2017. Step 3: Apply one coat of I Simply Love Your Nails and cure for 45 seconds under your LED Lamp. Apply a second coat for fuller coverage and cure. 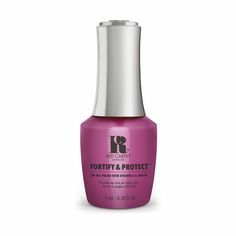 Step 4: Apply Mattify Top Coat to the entire nail and cure this under your LED Lamp for 45 seconds. 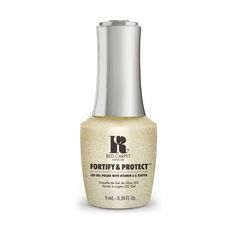 Remove the tacky residue with Purify Nail Cleanser and a lint free wipe. Step 5: Using a dotting tool, apply Brilliance Top Coat in different sized dots onto the nail. Cure this under your LED Lamp for 45 seconds.